These Testosterone esters form a combined total of 250mg of testosterone, hence the number 250 in the name Sustanon 250. The basis for combining these esters is for the purpose of creating a Testosterone drug that can provide the patient with the benefits of both a fast release of Testosterone into the bloodstream alongside a slower release in order to achieve peak blood plasma levels quicker and keep them sustained. 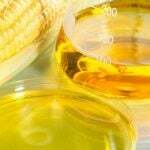 This is very different from the use of a single Testosterone ester, such as Testosterone Propionate, which a single solitary product containing Testosterone Propionate, and only Testosterone Propionate. Sustanon was originally devised and developed by Organon in the early 1970s with the intention of providing a Testosterone based medication that would provide distinct advantages in a medical and clinical setting over the use of single Testosterone esters. The end result is that in a medical setting, the user need only to inject and administer the drug infrequently compared to other forms of Testosterone. Sustanon 250 is almost exclusively a European and international product and was never approved for use in the North American prescription drug market. An identical twin to Sustanon, Omnadren, was/is a direct copy/clone of Sustanon that originated in Poland and saw popularity and extensive use in Eastern Europe and the Caucus region. Omnadren at first held a slight difference in comparison to Sustanon, but not long afterwards, was manufactured with literally the exact same ingredients, ratios and specifications as Sustanon. Sustanon’s popularity among athletes and bodybuilders is not what it once was, but this product still experiences extensive use, especially among first time users and beginners. 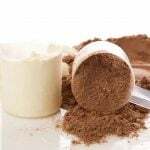 The reason for its initial rise in popularity was due to the perception that with Sustanon, one was obtaining more steroid for the money spent in comparison to other products. However, in the long term this perception proved to be false, as Sustanon 250 was intentionally developed for medical and clinical applications, not athletics. It is optimal for those experiencing medical conditions that necessitate the use of Testosterone, and to provide a much more convenient and comfortable administration. Those prescribed Sustanon need only concern themselves with administration perhaps once every 3 to 4 weeks. Athletes and bodybuilders require quite different administration routines, and therefore in the grand scheme of things, the blood plasma levels of Testosterone would peak at around the same levels in the same period of time that any other simple Testosterone product would. 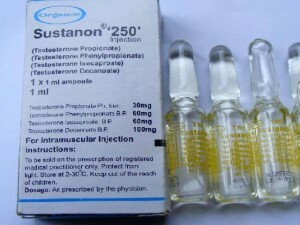 For the purpose of performance and physique enhancement, Sustanon tends to only barely meet minimum requirements and expectations at a somewhat higher price and more convoluted and complex dosing and planning scheme due to the complicated nature of the combined Testosterone esters contained in the product. Potential Sustanon side effects include all of those that are typical of Testosterone itself, as after all Sustanon is a direct Testosterone product. The first area of concern are Estrogenic side effects due to the nature of Testosterone being an aromatizable anabolic steroid. 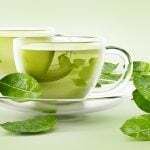 It expresses affinity for the aromatase enzyme, which is responsible for aromatization (or conversion) of Testosterone into Estrogen. 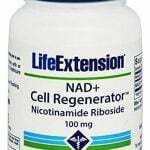 Estrogenic side effects include water retention and bloating, blood pressure elevations (as a result of the water retention), increased possible fat retention/gain, and gynecomastia. These are all dose and sensitivity dependent, of course, and higher dosages of Sustanon will increase the frequency and severity of these Sustanon side effects. In order to mitigate these Sustanon side effects, the use of an aromatase inhibitor and/or an Estrogen blocker, such as SERM like Nolvadex (Tamoxifen Citrate), will be necessary. Further research into the differences between aromatase inhibitors (AIs) and SERMs (Selective Estrogen Receptor Modulators) should be researched by the user in order to fully understand the differences. Androgenic side effects are also a concern, as Testosterone will readily reduce into Dihydrotestosterone (DHT) in various tissues throughout the body. This creates an overall increase in androgenic side effects, as DHT is a much stronger androgen than Testosterone itself is. Although Testosterone itself possesses moderate androgenic strength, the problem lies in DHT, which is a much more powerful androgen. Androgenic side effects include: increased sebum secretion (oily skin), increased bouts of acne (linked to increased sebum secretion), bodily and facial hair growth, and the increased risk of triggering Male Pattern Baldness (MPB) in individuals that possess the genetic trait required for the condition to manifest itself. These Sustanon side effects can be mitigated through the use of 5-alpha reductase inhibitors, and topical DHT antagonists, such as Nizoral. Virilization (masculinizing) side effects is a big issue with strong androgens such as Testosterone, and this is why it is not recommended for use in casual female users. Virilization includes side effects such as bodily and facial hair growth, deepening of the voice, clitoral enlanrgement, and menstrual irregularities. Hepatotoxicity and liver issues are not a concern with the use of Sustanon 250 or any injectable Testosterone product. Testosterone has demonstrable negative effects on the cardiovascular system, most notably on the negative alteration of cholesterol profiles. Testosterone use alone promotes a low to moderate reduction of HDL (‘good’ cholesterol), but studies have demonstrated even worse alterations when it is combined with the use of aromatase inhibitors, causing an additional increase in LDL (‘bad’ cholesterol) and even larger decreases in HDL. Being an anabolic steroid, Testosterone will initiate disruption, suppression and shutdown of endogenous Testosterone production, especially at bodybuilding dosages. 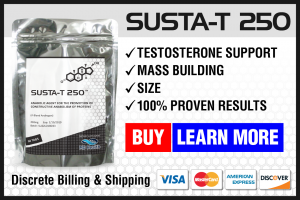 The intention of Sustanon 250 is to, as a whole, provide an initial spike in blood plasma levels of Testosterone within 24 – 48 hours following administration. Following this, blood levels should remain elevated for a period of 21 days as a result of the larger Testosterone esters contained in the blend. The idea here, as previously mentioned, was to utilize Sustanon almost exclusively in the treatment of Testosterone replacement therapy. This should be kept in mind when anyone is willing to run Sustanon cycles. The first indication that Sustanon’s half-life characteristics should give is the fact that Sustanon cycles need to be run for much longer periods as a result, typically 10 – 14 weeks. Even 10 week Sustanon cycles are regarded as being on the short end. Sustanon cycles often involve the use of Sustanon-only, especially in the case of first-time and beginner cycles. Being a Testosterone product, Sustanon can and is also used as a base compound in a cycle containing other products. Beginner cycles can also include at least one other compound, typically with the intention of mass and strength gaining, and bulking. An example here would be Sustanon 250 utilized for 12 weeks, with Dianabol (Methandrostenolone) as a kickstarting compound during the first 4 – 6 weeks of the cycle. Nandrolone Decanoate (Deca-Duarbolin) is also commonly combined with Sustanon cycles, and tends to combine especially well with it due to its longer half-life, and is suitable in longer cycle lengths of 12 weeks or longer. Originally designed and intended for clinical and medical use especially in Testosterone replacement therapy (TRT), medical Sustanon dosages average at 250mg administration every 3 weeks, and are normally adjusted according to individual needs as the physician deems necessary. In the athletic and bodybuilding circles, most beginner Sustanon dosages begin at around 300 – 500mg weekly. Normally there is no need to increase Sustanon dosages beyond this range especially when utilized with other compounds. Intermediate users often venture into the realm of 500 – 750mg per week, often when Sustanon is used alone. Intermediate users will often still remain in the 500mg weekly range when utilizing other compounds with it. 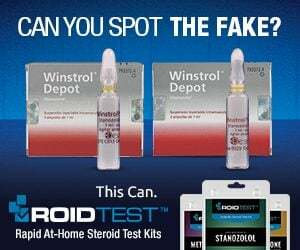 Advanced users are known to rise as high as 750 – 1000mg per week, but again, this is usually only when Sustanon is used alone and not with other anabolic steroids. Another common option is the use of TRT level dosages of Sustanon to merely provide a base level of the hormone in order to facilitate essential biological functions while other stronger compounds are emphasized to promote anabolic effects. In this case, users will often utilize Sustanon at 100 – 250mg per week and rely on other compounds at higher dosages to experience performance and physique benefits. Sustanon 250 is not recommended for females due to its strong androgenic nature, and females are therefore advised to look elsewhere into less potent androgens that can be used for performance and physique enhancement. Sustanon is just as common as any other Testosterone product on the market, and is available through various sources from internet sources, websites, and e-mail order systems to in-person ‘gym dealers’. Although prices can vary, Sustanon is considered a cheap product to buy. Pharmaceutical grade Sustanon 250 that is manufactured by major pharmaceutical companies are easily available, although fakes and counterfeits do exist. Generic pharmaceutical grade Sustanon product is also widely available from different manufacturers, and underground lab (UGL) products are even more abundant on the anabolic steroid black market. Pharmaceutical grade Sustanon product in the range of $6 – $20 for a single 1ml ampoule containing 250mg, depending on the source type. Underground lab grade Sustanon can be found for even cheaper (at the cost of quality variations), usually in the range of $50 – $100 on the low end, and upwards of $140 – $160 for a 10ml vial containing 250mg/ml of product. These prices are highly dependent on the lab product and source in question. Cantrill JA, Dewis P, Large DM et al. 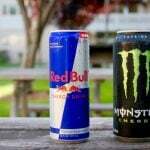 Which testosterone replacement therapy? Clin Endocrinol (oxf) 21 (1984) 97-107. Toth M., Zakar, T. Relative binding affinities of testosterone, 19-nortestosterone and their 5-alpha reduced derivatives to the androgen receptor and to other androgen-binding proteins: A suggested role of 5alpha-reductive steroid metabolism in the dissociation of “myotropic” and “androgenic” activities of 19-nortestosterone. J Steroid Biochem 17 (1982) 653-60. Sjogren J, Li M, Bjorntorp P. Androgen hormone binding to adipose tissue in rats. Biochim Biophys Acta. 1995 May 11;1244(1):117-20. Ramamani A, Aruldhas MM, Govindarajulu P. Differential response of rat skeletal muscle glycogen metabolism to testosterone and estradiol. Can J Physiol Pharmacol. 1999 Apr;77(4):300-4. Enzyme induction by oral testosterone. Johnsen SG, Kampmann JP, Bennet EP, Jorgensen F. 1976 Clin Pharmacol Ther 20:233-237. Testosterone dose-response relationships in healthy young men. Bhasin S, Woodhouse L. et al. Am J Physiol Endocrinol Metab 281:E1172-81, 2001. Product data sheet: Sustanon 250. August 31, 2001. Pharmaco (N.Z.) LTD Auckland New Zealand.